Come behind the scenes and into the world of Stephens Island ranger Polly Hall. A rare opportunity for you to visit and work on Takapourewa / Stephens Island—the only place in the world where you’ll find Hamilton’s frog. 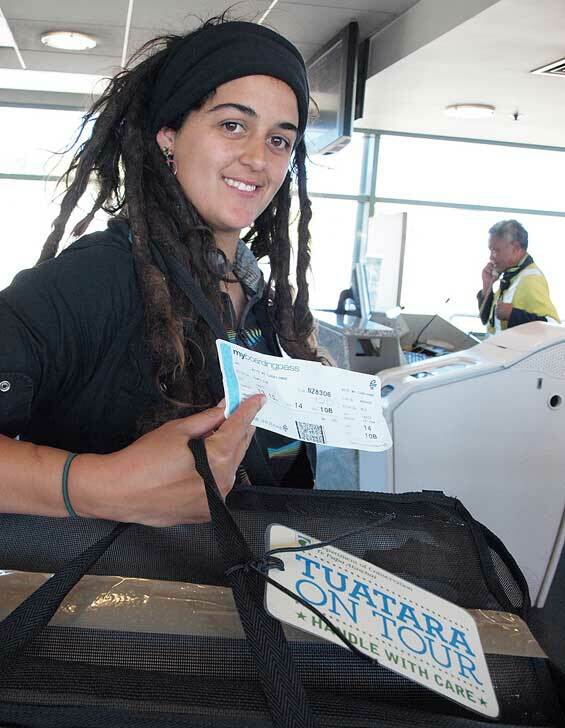 Codenamed ‘Tuatara on Tour’, DOC, together with Air New Zealand and Ngāti Koata, have just achieved the largest and most complex tuatara relocation ever undertaken. Over 260 tuatara were transported, on commercial flights from Wellington to Gisborne, Hamilton and Dunedin, to live in new homes at predator-free locations on the mainland. DOC staff were on hand to help facilitate the relocation. The tuatara traveled by helicopter from Takapourewa (Stephens Island) in the Marlborough Sounds to Wellington Airport. 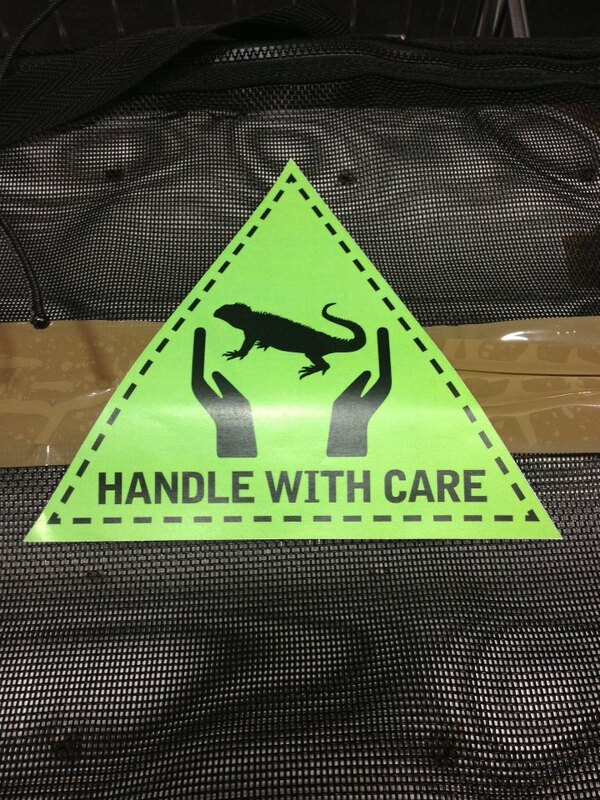 After hanging out in the Koru Lounge and meeting some of their fellow passengers, the ancient reptiles boarded their flights, housed in their own travelling tubes complete with “handle with care” baggage tags. Tuatara are not well known for being frequent flyers, in fact they don’t generally travel more than about 20 metres from their burrows over the entire course of their lives. Luckily Air New Zealand stepped in and was happy to provide them with the transport needed to ensure these mainland populations could be re-established throughout the country. 60 of the tuatara flew to Dunedin where they were relocated to the Orokonui Sanctuary. This marks the first return of the species to the wild in the South Island and is by far the furthest south that tuatara have been free to roam in 100 years. Other groups of tuatara went to Whangaokeno Island in north east of Gisborne, Cape Sanctuary in Hawke’s Bay, Young Nicks Head Sanctuary near Gisborne and Maungatautari in Central Waikato. Takapourewa, where the reptiles originate, is also predator free and home to around 30,000 tuatara, which is around half of the country’s population. Because Takapourewa is home to so many tuatara it is hoped that relocating these living fossils will enable them to grow bigger. The overpopulation on Takapourewa means that the tuatara won’t grow to their full capacity. There has also been evidence that some of the mature males have hunted juveniles. The relocation was a great success and all the tuatara arrived safe and sound at their new homes. Have you been lucky enough to see a tuatara in real life? What did you think of these amazing and ancient creatures? We’d love to hear your story. Leave us a comment. Tuatara were once widespread in New Zealand but were extinct on the mainland by the late 1700s due to predation by introduced mammals, human harvest and habitat changes. Tuatara survive naturally on about 30 offshore islands – the equivalent of just 0.5% of their former range. New Zealand’s total tuatara population is estimated at greater than 60,000.